If your kid likes history, this is a book for them. Candy Bomber is a interesting tale of a part of history that we do not hear much about. 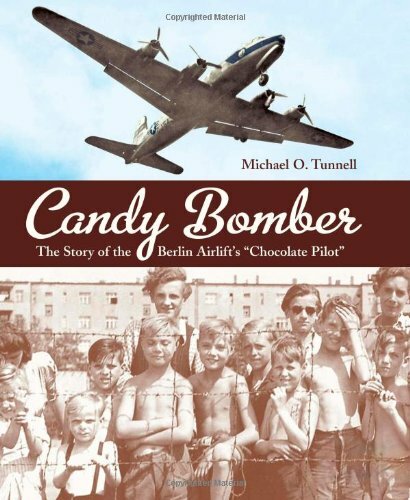 It is about how the Berlin citizens suffered during the Cold War and how one man’s kind actions started the candy drops. These drops encouraged many children and adults in Berlin as they suffered during the blockade of East Berlin. This book is written for eight-year-olds and up.